There is magic hiding everywhere. You just need to know where to look. You are a changeling, a faerie soul hiding in a mortal body, fighting the chill of Nightmares and the oppressive weight of Banality with the pure creative power of Glamour. You have lived many lives, but the story of this one? It outshines them all. In this hidden world, knights in steel and leather clash sword to sword outside the homecoming dance, dragons fly between skyscrapers, and fantastic castles rise from suburban lawns. A world of magic, intrigue, and adventure, and now that your fae side has awakened, it's your world too. 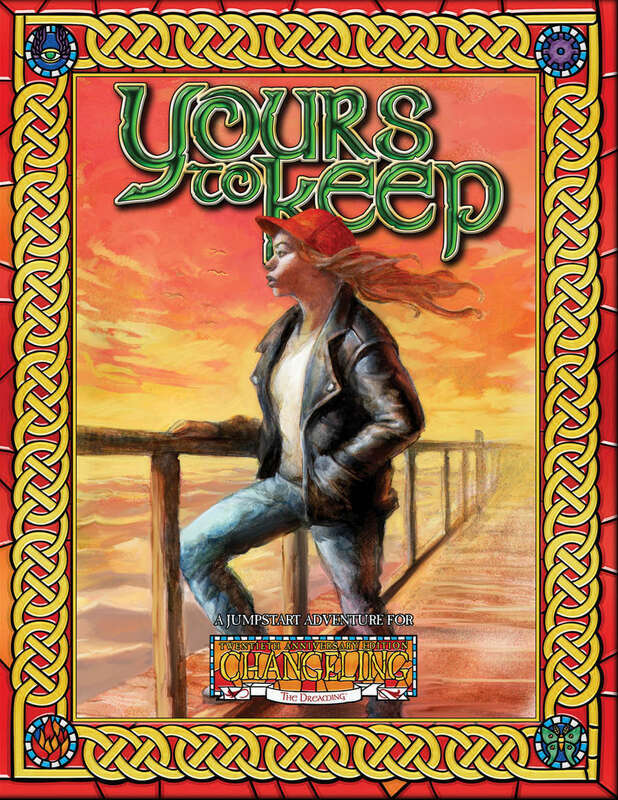 "Yours to Keep" includes a rules and setting overview, as well as pre-generated characters and a complete introductory scenario for Changeling: The Dreaming 20th Anniversary Edition. It's perfect for jumpstarting a new Changeling chronicle! Seriously, charging a price for a quickstart?